Tin Man Games has announced that The Warlock of Firetop Mountain: Goblin Scourge Edition will release on Nintendo Switch nest week. 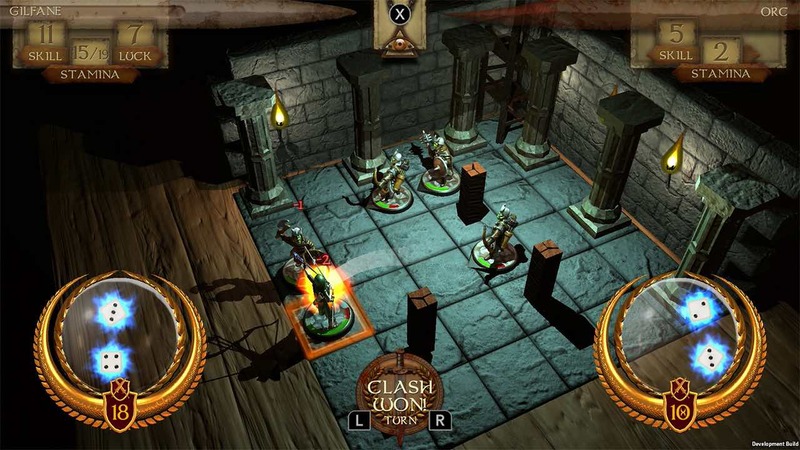 This RPG evokes the nostalgia of classic tabletop games, challenging you to explore a rich interactive 3D map, battle your enemies using a simultaneous turn-based combat system and the chance to play as different characters – represented as digital miniatures. Each character has their own motivations for entering Firetop Mountain, and will alter the narrative choices available to you. This special Goblin Scourge Edition has three more adventurers whose stories are woven into the Goblin Scourge, letting you uncover the mysteries of Scarclaw’s evil minions. The Warlock of Firetop Mountain: Goblin Scourge Edition will release on the Nintendo eShop for Nintendo Switch worldwide on September 13th priced at £19.99 ($29.99), and is now available to pre-order with a 20 percent discount (£15.99 / $23.99).